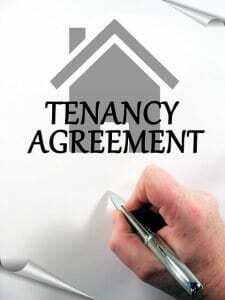 Being a landlord is a time consuming, stressful job and along the way you will deal with both easy and difficult tenants. When becoming a landlord you will need to research all the legal procedures to make sure that your tenants can’t get away with anything that they shouldn’t. In previous blogs we have written about being aware of learner drivers, now here are some reasons to beware of your tenants! The first story is about a landlord who had a phone call from a friend driving past a house that he owned and rented out. The friend had rung to tell him that all of the windows were wide open, even though it was a freezing cold winter’s day. Therefore the landlord went round to the house to see why this was. The tenant was complaining that the house was always boiling hot and pretty much unbearable. The landlord walked over to the thermostat and saw that it was set to 80 degrees! The landlord was absolutely furious seeing as he was paying for the heating. He explained to the tenant who turned around to the landlord and said ‘What is that?’ The tenant did not know what a thermostat was. A woman and her husband-to-be were searching for a property to let out to make a bit of extra money. They had been searching everywhere but couldn’t find one that they really fell in love with. Eventually, one of her friends knew of an apartment so they went to visit. Instantly they fell in love and put in their offer. When all the documentation was passed across the woman found that the owners name was Gilbert Mello which she had a bit of a giggle about. The women then asked who she should write the check out to, still a bit giggly, Gilbert answered “you can write the cheque out to either me or my wife Marsha.” As if his name wasn’t funny enough, the woman was laughing so hard with tears rolling down her face. Everyone was looking at her as if she was mad, until she calmed down a bit and showed everyone a cheque payable to “Marsha Mello”. That was the beginning of a long and fabulous friendship. 2. I’m not sure why the cheque has bounced? The money was definitely in my account. 3. I had to use the money for petrol. 4. I overspent at Christmas. 5. I didn’t know it was due again. 6. I came to drop it off last night but you weren’t open. 7. My ex hasn’t sent me the child support money. 8. I gave the money to a friend who was going to drop it off. 9. You can’t evict me for another 30 days anyway. 10. We can pay both months’ rent next month. If you have a funny landlord story we would love to hear it! Either comment below or get in touch on social media.